『Paper Rhythm　-　和紙糸その変幻』　展覧会のブログページにようこそ! 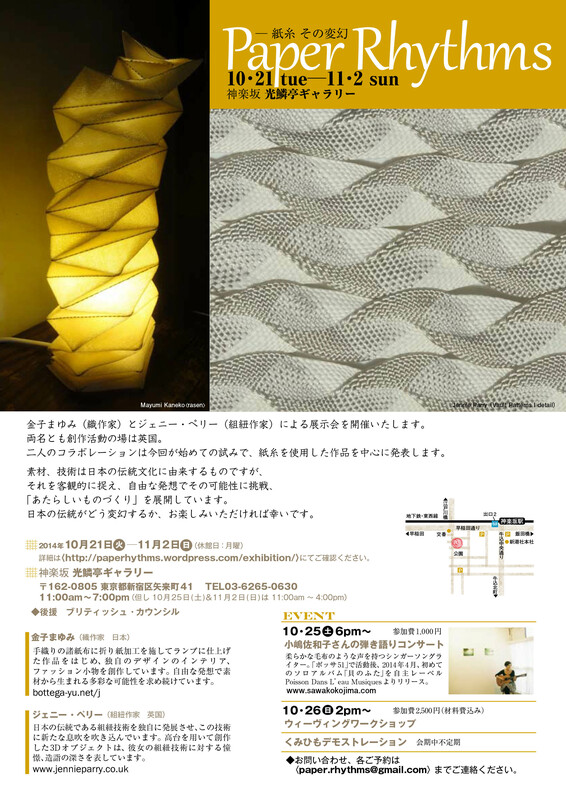 Welcome to “Paper Rhythm　-　Weave and Braid” exhibition blog! Mayumi and Jennie live and work in England. This is their first collaborated Tokyo exhibition. We will introduce our exhibition diary here. For details: please go to exhibition page.